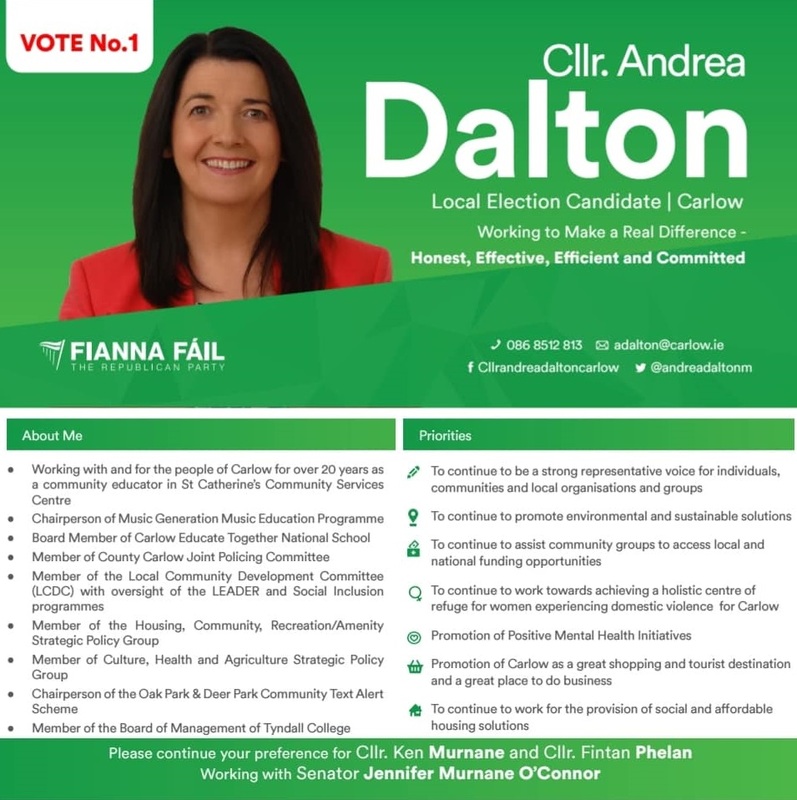 A Leaflet from Andrea Dalton who is running for Fianna Fáil in the Carlow LEA. 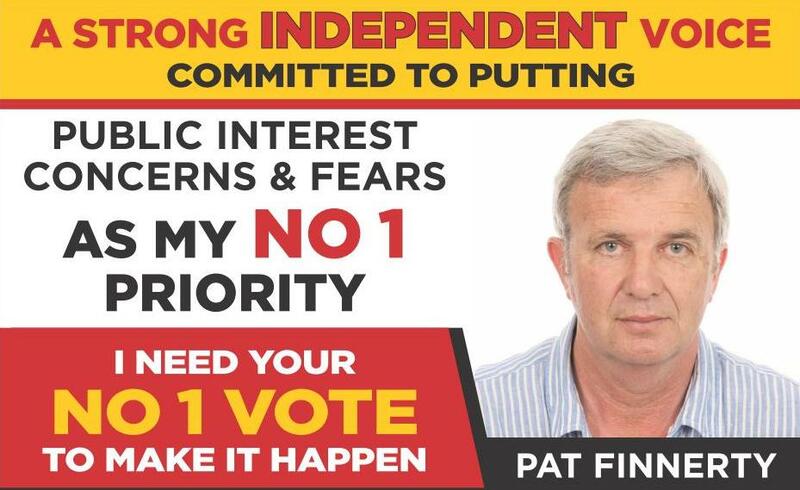 A flyer from Pat Finnerty who is a first-time Independent candidate running in both Carlow County Council LEAs Carlow and Muinebeag. A leaflet from Saoire O’Brien who is running for Direct Democracy Ireland in the Carlow LEA for a seat on Carlow County Council. A flyer from Des Hurley who is running for Labour in the Carlow LEA for a seat on Carlow County Council. A Canvass Card from Fintan Phelan who is running for Fianna Fail in Carlow for a seat on Carlow County Council. The front page of The Carlow People Newspaper (many thanks to them for sending it on) with a plea to “”Keep it Carlow”. Similar headlines will be appearing up and down the country this week in Two County Constituencies. For all the National we are still very much local. From the 2007 General Election a flyer for Green Party Deputy Leader Mary White running in Carlow-Kilkenny. Mary White was elected. It was her third attempt at winning the seat. There was at least one attack on her house on the run up to the election, due (allegedly) to her outspoken views on anti social behaviour in the constituency. Her house had also been a target in 2006.